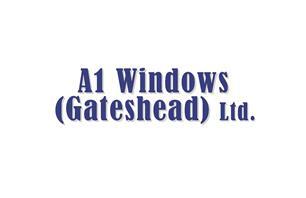 A1 Windows (Gateshead) Ltd - Fascia/Soffits/Guttering, Windows/Doors/Conservatories based in Gateshead, Tyne and Wear. We have over 25 years experience in the UPVC industry with a large portfolio of very satisfied customers covering most of the U.K.
We manufacture and install our own comprehensive range of UPVc products, including windows, doors,composite doors, French doors, patios, porches, conservatories, orangeries and bi-folding doors all from our purpose built factory in Gateshead. We offer the option of both double glazing and triple glazing for our windows as well as solar active glass and guardian warm roof options available for conservatories. We pride ourselves in our customer service and professional manner in which we carry out all of our installations. We are fully FENSA registered and all of our installations come with 10 year insurance backed guarantee for your peace of mind. We are also an accredited member of NICEIC.